Capture the pupils attention at the start of the activity. Your bridge has to be a strong bridge. You have to find out which construction principle you have to apply. Your bridge has a width of 15 cm, a length of 50 cm, a height of 15 cm and will rest on the banks of the river. There are no pillars under the bridge allowed. You can only use newspapers and one tube of glue. Expected results can be following possibilities. You will make a video to present your bridge. The video has a duration of maximum 10 minutes and you have to explain the Lord Mayor why your bridge is a strong bridge and to convince him that your bridge measure up to the criteria. You will make a digital portfolio where you describe your bridge. You will make a digital book where you can save the knowledge about the construction principle. In further activities you will learn about other principles or you have to look up about this principle. You may choose your own application but is has to be effective. You have four hours to work out this task and you work in group of 4 students. Fill in your digital logbook that will be used for the evaluation of the process afterwards. 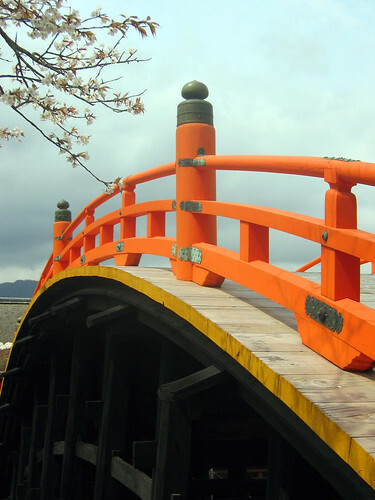 learn how to make a bridge strong and which construction principle you need to apply. learn how to use digital simulation software to find out this principle. learn how to make a video, what a script is and which materials you need to make a video. You will learn how to handle a video camera and how you can use applications to finalizing your video. be able to choose the right application to present and to storage digital information that you can look up afterwards. Stimulate and recall the prior knowledge, this allows the pupils to build on their previous knowledge or skills. Approaches include the use of simulation software, case studies, graphical representations, website with more information about the subject…. Go to the website wallwisher and place some stickies on the wall. if you don’t have an account for Wallwisher you have to make it first. What do you know yet about construction principles? Cluster the different ideas. Can you agree with the ideas of your colleagues? if you don’t have an account for Wallwisher you have to make it first. Write in your digital logbook. How was this digital brainstorming? Are you satisfied with the results? Afterwards you will present the results of your experiments to the whole group. Go to the following websites and do the experiments. Let the students write down in their digital logbook..
How were those experiments? Difficult? Why or why not? Can you tell what makes a bridge stronger? Do you know the different types of bridges? Your group will present to the whole class the construction principles that you are going to use. You will do this using digital media of your choice. Write in your digital logbook. Which application did you use? Why? Notice the feedback of the group. Do you agree with the feedback. How can you change your plans after this feedback? Provide the opportunity to practice doing something with the newly acquired behaviour, skills, or knowledge. Collect feedback of the whole classgroup on the presentation of the construction principles. Now you can start to design and make your bridge with the newspapers. In your group you will test your bridge and verify if your bridge measures up to the criteria. After the permission of the teacher you will start to make your video. What was the reaction of the teacher? After the presentation of the results to the classgroup, the pupils need to have feedback about the criteria, the results and about the process. The feedback needs to be specific. Tell them “why” they did it well and how they can improve. You can now show the video of your bridge to the class. What was the reaction of the group. Does your bridge measure up to the criteria. Can you improve your video before you send it to the Lord Major? Pupils have to think about the application of the learning in other situations and to consider how to maintain competence into the future. Choose an application (if not done in previous activities) and write down the construction principle you have applied in your bridge. Search other technical systems that use this principle to be strong. If you want you can search for photos and place them in you digital book. Which application will you recommend to others? Why? PS Click here for a real life example from Wales where they have bridges to help dormice cross roads!